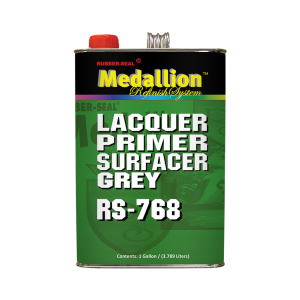 A premium quality lacquer primer surfacer formulated with high-quality resins. This primer surfacer is a fast-dry lacquer primer that sands easily after 30 minutes. RS-768 must be reduced with MRS-165, MRS-175 or MRS-185 Zero V.O.C. Universal Reducer to be compliant with National Rule. Available in gallons only.